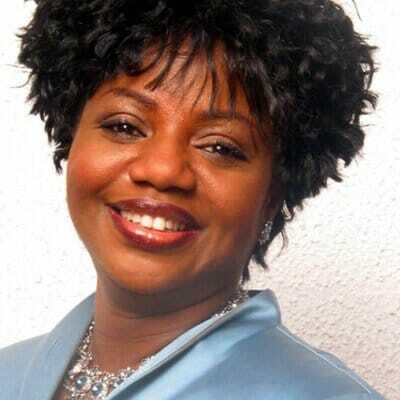 It seems like yesterday for family, friends and followers of the late Pastor Bimbo Odukoya as her memory still lingers on the mind 12 Years After. It was a fateful Saturday morning on Dec 10, 2005 when Pastor Bimbo was among the people who lost their lives on the ill-fated Portharcourt-bound Sosoliso flight. It was a sad day for her husband, Pastor Taiwo Odukoya, but 10 years down the line, he has fought the good fight and bounced back a few years after. Pastor Bimbo Odukoya was survived by her husband and 3 children. 4 years after Pastor Bimbo’s death, Pastor Taiwo remarried a South African Lady, Nomthi, who brought back hope and who was defined as a timely consolation. They both have 2children. In the book, Pastor Taiwo Odukoya gives a first-hand account of a riveting life of Bimbo Odukoya , a woman whose exemplanary life and undeniable impact echoes through the generations. In the book, we meet the Bimbo we all knew; passionate ,dedicated, a lover of God and a woman who lived to serve with all her heart. But we also meet the Bimbo who lived, loved and worked behind the spotlight. Glorious legacy explores the life of Bimbo from the cradle through her early days in life, family and Fountain of Life church. He examines, in this engaging narrative, the environmental and context that culminated in a life and legacy that inspires and challenges the reader. Those were Bimbo’s exact words .She had called from the Abuja Airport to inform me of a slight delay with her flight. It was her last scheduled trip for the year; a two –part ministration, first in Abuja, with a connecting flight to Port Harcourt for the second .It was our manual practice in the 21 years of our marriage; ,Bimbo would call me before any takeoff and upon her arrival on all her trips, and I did the same every time I was away. We were that involved with each other. After our phone conversation on the fated December 10, 2005, I expected Bimbo’s next call by the time she would have landed. This time, however, the promised call never came. That Saturday morning was like any ordinary day. There was nothing to suggest the events that transpired would be remotely dramatic. My brother, John, was due to visit Nigeria with his family from the United State of America (USA) and we were to host them at the Vicarage. We had made plans for some minor repairs around the house and throughout the week, the house was brimming of artisans, but Bimbo, being away from home, was unable to supervise the last day of work. At her request, I took upon myself the chore of personally supervising the artisans ,more so because I was not in the habit of giving access of our private space to just anyone. About 1.30pm, I went into the bathroom to make space for the painters; I must have stooped to pick something, because I remember suddenly ramming my head into the edge of the toothpaste rack. I went blank! Is this how people die? That was the thought that ran through my mind as I struggled to gather my wits. The pain was so severe, but I was able to crawl out and nestle into the sofa in the living room. I was still in that slouched position when my phone began to ring. I picked it reluctantly, still trying to clear the fog in my head. At the other end of the line was Gbenga Onabanjo, one of our associates in the church. He told me in rushed sentences, how our choir leader’s niece was involved in a plane crash. Aghast, I said, ‘Another plane crash” This was because at that time, the nation was just recovering from the trauma of a previous crash that occurred about 3 months earlier. But instead he replied, haven’t you been watching the television? The sososliso flight from Abuja to Portharcourt has crashed’’ When I heard that ,it felt as though waves of electric current coursed through my entire body at once. ‘My wife is on that flight’, I muttered as if to myself, then I cut the line. In a moment of disbelief, I dialed Bimbo’s number, No response. I switched on the television in a bid to catch the news, all the while wishing it was untrue, certain that an incident of that nature could not be happening; atleast, not to us. Mumbling words of prayer under my breath, I wondered how to deal with the calls that barged into my phones, and more pressing, the questions from our youngest daughter, Tobi, who had learned of her mother’s accident from an insensitive parent within the neighborhood where she had gone to play. Everything happened so quickly, I tried all I could to book the next flight to Port Harcourt, but was dissuaded by the people around, who were concerned about my ability to make the trip in my state of mind. It got worse because reaching the airlines for feedback on the next line of action proved to be futile. Before long, concerned friends began to stream into my home, some find answers and others, to offer comfort. My nephew, Temitope Odukoya, who was staying with us at that time, offered to go to Port Harcourt by road. At this time, the airport had been shut down, still with no word from the authorities. I called a few classmates from my University days, who resided in Portharcourt to help locate ‘Bimbo. But by Sunday, the following day, while still awaiting feedback from Temitope, news reached me that Bimbo had passed on. Her time of death was so detailed to be precisely 6 hours after the crash. It was devastating to learn she was alive for 6 hours, possibly fighting for her life, and I could not make it on time to reach her, though she must have been expecting my arrival. Looking back through the years, I am humbled by the magnitude of God’s grace in the face of tremendous travail, and sometimes irreplaceable loss. It was this grace that sustained me during the months following ‘Bimbo’s passing, and it was this same grace that invariably brought Nomthi, a beacon of hope and a timely consolation. In November 1979, I had gone into room C2 , Zik Hall, in the University of Ibadan to take some sugar from Rotimi Adesegha, a child hood friend. It was one of those seasons on campus, Provisions were low and a friend had some to spare, so I was going to do what was typical of students. Barging into Rotimi’s room, I happened upon a very pretty lady dressed in a white and blue chiffon gown, thin back braids packed into a neat bunch on her head, wow, what a pretty lady! Hope Rotimi won’t say this is “Sister” too, I thought (that was how the Christians referred to themselves, particularly in campus fellowships). Rotimi and I had been friends as far back as secondary school; St Pauls College, Wusasa, Zaria. We attended the school of basic at the Ibadan Polytechnic and from there to University of Ibadan where we were both studying Petroleum Engineering. “Taiwo, meet my sister, Bimbo, ‘Rotimi said, somewhat halfheartedly. Bimbo had gained admission into the University of Ibadan after her ‘A’ levels at Ijanikin and was studying History and Archaeology in combined honours. I politely mumbled a greeting. Once I realized she was also one of the so –called SU’s on campus, I decide to forgo what I had initially come into the room to do. However, before leaving, I could not help but make a mental note of her appearance, again. This time, I could not help but notice her smile. She seemed to exude this aura that made you want to hang around. The second thing I noticed was her pair of shoes. I remember they were green, glassy and quite high. As a matter of fact, it turned out that Bimbo wore heels throughout our time together. I found it difficult to mentally reconcile such a fashionable trend with someone who was one of the born again Christians ,as it was largely believed that it was impossible to be born again and remain fashionably trendy. After a few years, I got born again and following my new found conviction, I got close to Bimbo by virtue of her friendship with Rotimi. However, as things evolved, i started getting closer to Bimbo and my friendship with her began to take on a life of its own. As we got even closer, I began to take to observe certain traits she had, but it was her selflessness that endeared her to me. Her love and passion for people was exceptional. Later on, I discovered I and Bimbo had many things in common back in Lagos as my sister stays in same neighborhood Bimbo stays and as a matter of fact, my sister’s children were all pupils in Bimbo’s mother daycare center. Bimbo and I became inseparable in my Extra course year in school, thinking back now, it is possible Bimbo and I would not have ended up together if not for the extra year. In the morning, we would both attend our lectures and then I would meet her at the front of her faculty. Together, we would walk to the library to study, we go for lunch, then after spending hours studying, I would see Bimbo off to her hostel. So, a particular evening, it was the conversation that evening that created pathway for me to plunge into the prospects of our relationship. Things began to take more exiting fun. So, on another serene evening, I took the plunge to ask her out and we both agreed for us to pray about it after she suggested such. We both left that day to pray about the relationship, and until she departed for glory, we never stopped praying about our relationship. After that, our relationship became official. Bimbo was a giver; she would give out all she had and not have any money left for food. She had such a pure heart. People saw it as naivety and sometimes want to take advantage of her. I remember several occasions where I had to step in; otherwise she could have been easily taken for granted. Bimbo had such a heart for service. It reflects in the countless hours she devoted to serving in the choir and drama departments. Bimbo never sleeps over grudges; she makes sure it is sorted out before going to sleep. We never took our disagreements to the public and I must say this has greatly helped our marriage. All through the months of her pregnancies, she would prophesy over the lives of the children. Bimbo is always available at the home front despite being devoted to career and ministry. She is a very domestic person, cooks my meal and takes care of me all the time. We cannot overemphasize the role of prayer in our marriage. Bimbo had always been a woman of prayer, It was aspect of her life and ministry which she simply did not compromise. Apart from prayer, Bimbo spent a lot of time reading her Bible. She had always been a student of the word. Bimbo was a mother to man. And this was not just about being a spiritual figure, but also took a conscious interest in the lives of people around her. One of the things she often taught singles was the need to be purpose-driven and not to be merely motivated by their needs, yet she was always at the fore of meeting needs, Her generosity was a kind I had never seen before. She was by all means a doting mother, yet a no nonsense employer. After consultation with both families, Bimbo and I decided on a date for our wedding. She supported in her own way to contribute to the resources needed for the home in which we would start out due to her typical generous nature. Throughout the preparations, A common question is: Am I marrying the right person? I honestly had no fleeting moment of doubt. I was certain Bimbo Williams was the woman I wanted to marry. She consistently reinforced the qualities I wanted in a wife. I had no doubt she would make a great wife and mother…Our courtship had been a mutually edifying period. We spoke about our expectations for the future and more. We had planned on having 2 children, but we ended up with 3,all of whom are a tremendous blessings to us and the world today. We knew our lives would be about people. Our courtship eventually evolved into a memorable marriage. But first the wedding!. “Looking back at Bimbo’s live, particularly at the passion she poured into her ministry and marriage, it was almost as though she knew she would have to return to the Lord in a short time. As a matter of fact, one of her favourite statements was, ‘’Life is short, death is sure, it is only what you do for Christ that lasts’’. This was the philosophy that fuelled her life. It was the driving creed to her evangelical outreaches. This was the greatest legacy she left; showing people that it was possible to live and die for Christ. Thinking back on the final moment we shared as a family, I could not help but consider some actions she took that seemed valedictory. Thanks Kemi for sharing this with us…Life is short, death is sure, It’s only what you do for Christ that lasts. There’s just something about this post, thanks again for sharing. Pastor Bimbo was an extraordinary woman. She left a great legacy. May her soul rest in peace.